Ho ho ho! It’s the time of year to be cheerful and jolly and all of that festive stuff, and even metalheads are spreading the Xmas spirit! 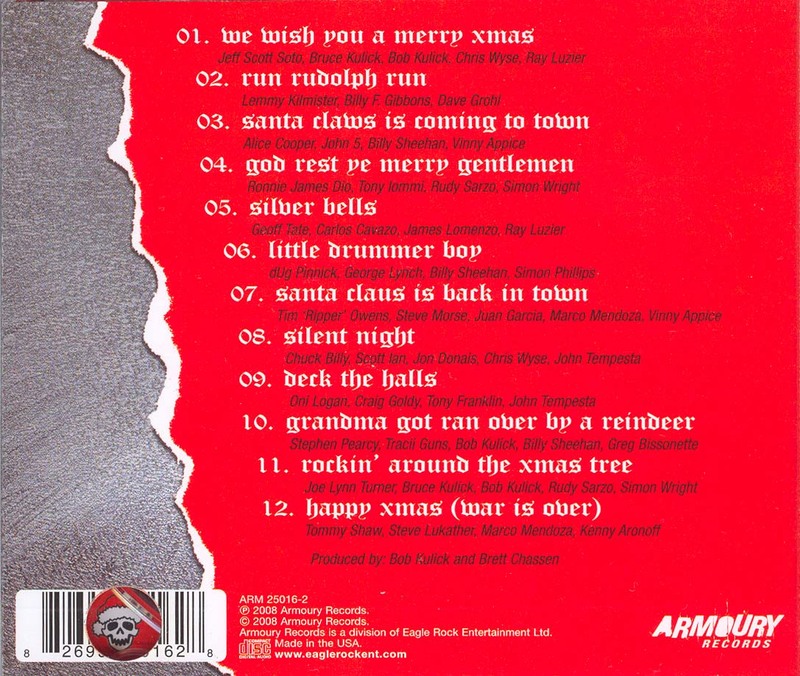 This month I present to you all my list of metal Christmas carols. 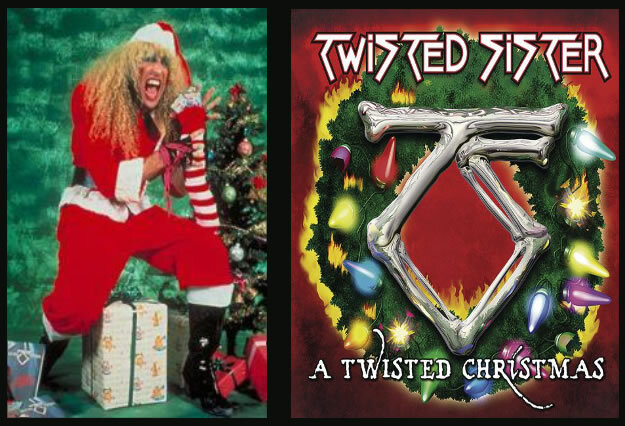 Definitely a favorite is Twisted Sister’s A Twisted Christmas. These guys cover all the greatest Christmas hits like “Come All Ye Faithful” and “I Saw Mommy Kissing Santa Claus”. The whole album really puts one in the Christmas mood! Pretty much a constant in all of my lists is the one and only Type O Negative. Just look at these guys all tucked into bed with visions of sugar plums in their heads. 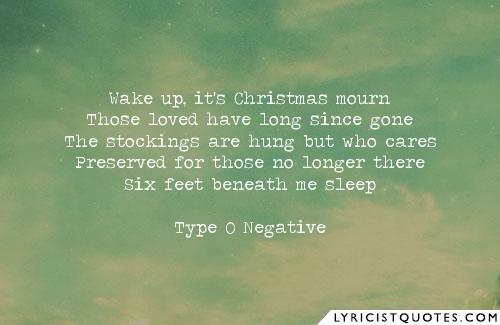 Type O Negative make the list with their wonderful song “Red Water (Christmas Mourning). Brooding as always, “Red Water” is a tale of misery about waking up to Christmas and mourning those who have gone on before. Ah, how joyful! 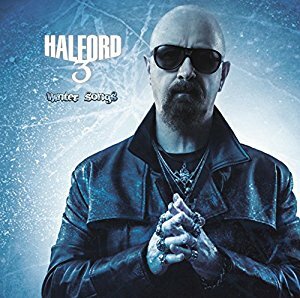 Up next, Halford III: Winter Songs. This metal legend brings us songs like “We Three Kings” and “What Child Is This?” If Rob Halford’s iconic voice doesn’t get you in the mood for hot cocoa and gazing at the Christmas tree, I don’t know what will! 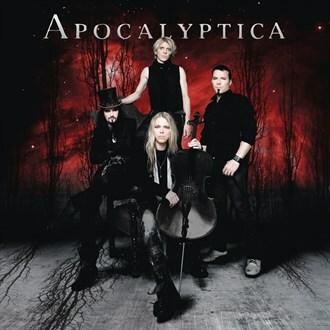 Apocalyptica offers up a beautiful instrumental version “O Holy Night”. Using their cellos to seduce your ears into wanting nothing but Christmas music from this point on, they produce the most beautiful version of this song that I’ve ever heard. This one has really got it all! Ronnie, Lemmy, Alice Cooper plus many others who all make me want to rock throughout the Christmas season! From all of us here at the Official Metalheads Forever, we wish you a rocking Xmas, happy holidays, and a hellova New Year!